This morning, the Undersecretary of State for Defense, Raffaele Volpi, visited the "Celio" Military Policlinico in Rome. The undersecretary, welcomed by the director of the Military Polyclinic, general of division Francesco Diella, together with the commander of Health and Veterinary of the Army, Major General Antonio Battistini, after the ceremony honors, attended the presentation briefing of the institution and subsequently a brief visit to some hospital pavilions. During the visit, the Hon. Volpi went to the Telemedicine Service of the Military Policlinico where he was in videoconference with the staff of the Role 2 of Herat (Afghanistan) and the field hospital currently deployed in Misurata (Libya). During the liaison, Mr Volpi addressed a message of good work to all the medical and health personnel currently involved in the mission. The on. 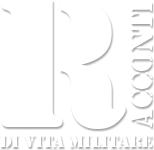 In the course of the activity, Volpi underlined the importance of the Military Policlinico for the Defense's tasks in health assistance for military personnel working both in Italy and in operating theaters, and called for "increasing collaboration with civil structures". , with the universities and the research world are permeated by the typical values ​​of the Armed Forces ". The Military Policlinico of Rome, employed by the Army Logistics Command, is the health facility for the hospitalization and care of the Armed Forces personnel serving in the homeland and abroad who, in addition to carrying out clinical-assistance activities, also performs training activities of medical, nursing and technical-health personnel, as well as providing highly qualified personnel for all healthcare needs in international operations.